Pop Up menus are those, which are displayed on the screen when we right click on it. 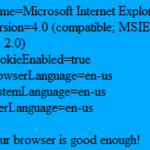 Pop Up menu makes any application easier to use it. 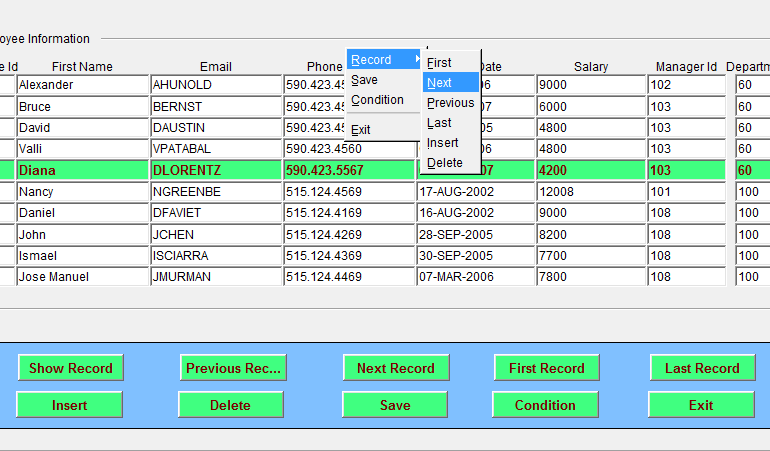 In Oracle Forms also we can make pop up menus to add different menu items for the operating form. The items for operations such as inserting, saving, deleting and navigating records can be included in the pop up menu. 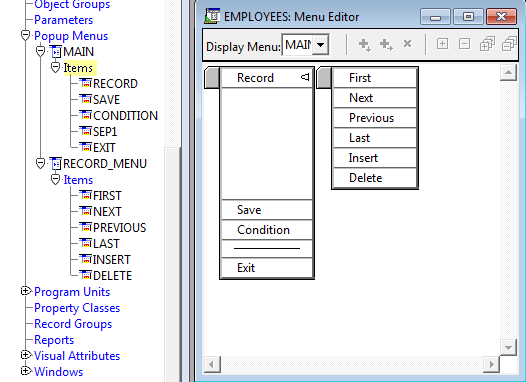 Here I have written some steps for creating pop up menus in Oracle Forms along with their screenshots. 1. 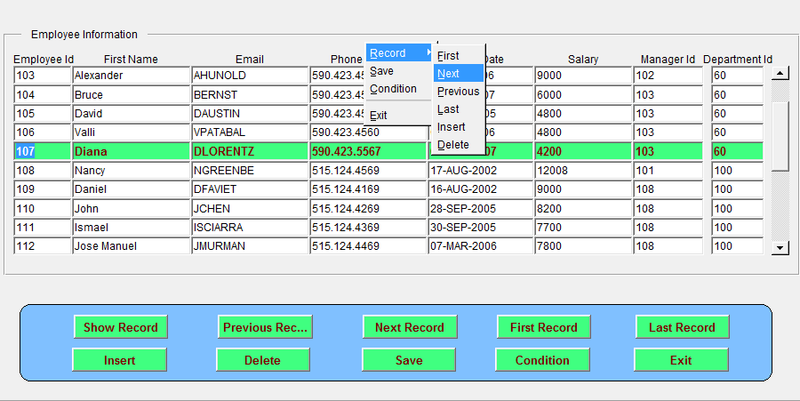 At first create a form as the post “How to Create Oracle Forms by Using Wizard ?” . Click on Pop Up option in object navigator, Click on plus + sign and rename the menu name. Right click on menu name and click on Menu Editor. Add the new items by clicking on plus down and plus right buttons as given below. 2. Add the items as given in the image below. 3. 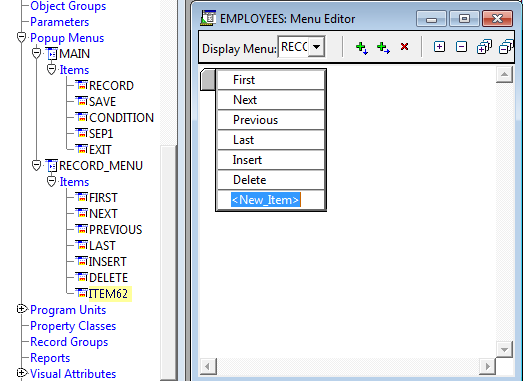 Right click on menu items on the object navigator and click on PL/SQL Editor option. 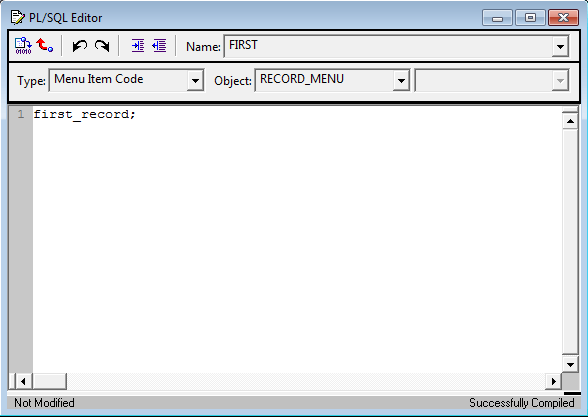 Write PL/SQL queries On the PL/SQL Editor window as given below. 4. Add the following PL/SQL queries in the PL/SQL editor for respected items. 5. 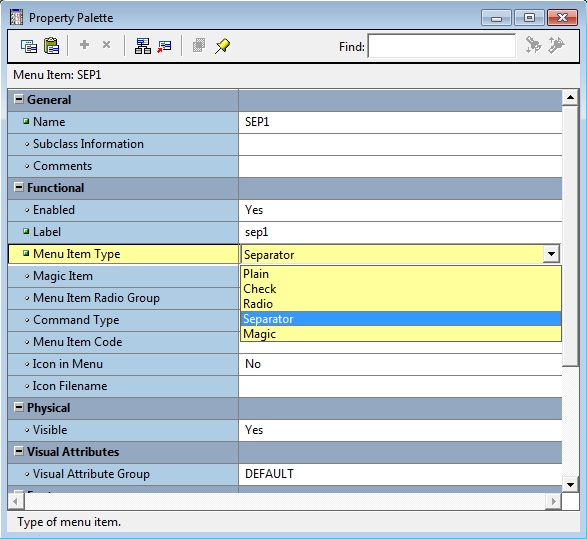 For adding Menu Item Type as Separator, go to Property Palette by right clicking on menu item and clicking on Property Palette option. Select Separator on Menu Item Type property under Functional property. 6. 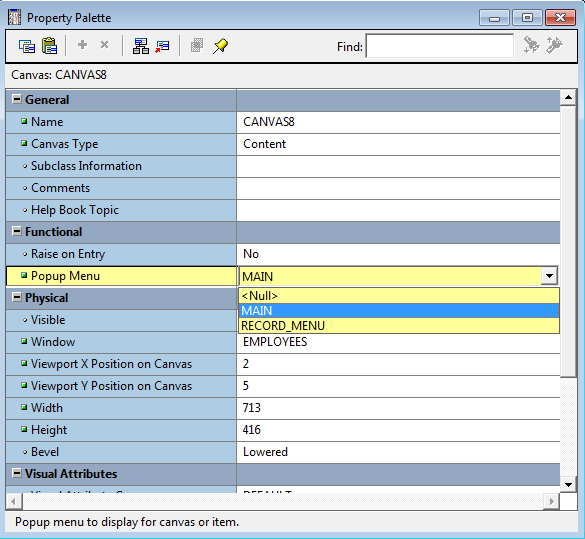 For assigning Pop Up menu on the form, right click on canvas and click on Property Palette option. From Popup Menu option under Functional property select the Popup Menu name as in the image below. 7. Save, Compile and Run the form. You can view the Popup menu while right clicking on form area.